Processing liquid milk is not only energy intensive but it also involves higher production cost and cost for the supply chain. This is why at a global scale innovative technologies are high in demand to minimize this cost and impact on work process. Saving energy and processing, as well as supply chain cost, are the two most important priorities for the majority of these technologies. Besides taking care of the cost impact, reducing the environmental impacts in milk processing is another crucial focus area of the milk producers. Alleviating GHG emissions and reducing all other environmental impacts in the milk processing is crucial to adhere to federal health standard and ensuring optimum safety. The GHG emissions are likely to occur at different stages starting from the milk production at the farm to milk processing at the plant to the process of refrigerated during storage in transportation and retail. 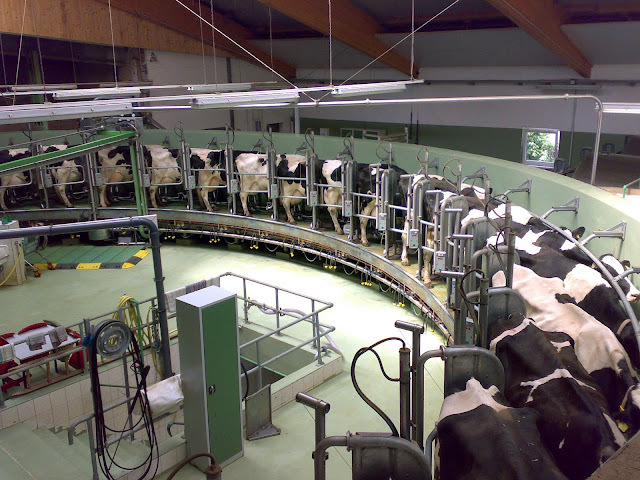 All over the world to reduce these harmful impacts on liquid milk and dairy products research is going on to find a sustainable alternative to energy and cost intensive pasteurization technologies like high temperature-short time (HTST) and ultra-high temperature (UHT). Some of the latest methods and technologies that are now being adopted to reduce harmful impacts include high hydrostatic pressure, UV light processing, microwave heating, high-pressure homogenization, microfiltration, pulsed light and pulsed electric fields, etc. Biotechnology and genetic research in the past few years have taken major strides in solving many problems dairies and milk producers used to face. Thanks to the latest developments in biotech and genetics bovine reproductions became easier than ever. The embryos transformed by recombinant DNA techniques called transgenic are finally going to be available. Though no transgenic embryos are still available but in the time to come, they are likely to hit the market. Finally, it is the knowledge process and information sharing in a dairy firm that remains to be a crucial part to amplify your positive aspects on the web and for making the workforce updated with latest technologies and know-how. A robust knowledge process boosting information system will quickly engage an audience across the company and affiliates. Moreover, these systems offer the flexibility of being managed by the third party professionals or any vendors, provided the performance was driven and business process does not face a jeopardy. From the latest bovine health technologies to the use of analytics tools in gaining insights for the milk supply chain to latest genetic technologies in the reproduction of the cows to sophisticated inventories and infrastructure in dairy farmhouses, the emerging technologies are continuing to transform the dairy and milk production.